Which filament is the best for your desktop 3d printer? From engineers, plane- and car manufacturers to architects, artists and other product designers, they all use 3D printing to test if their designs come out the way they were intended. Thanks to the winde range of open-source and affordable desktop 3D printers and cheap 3D printing materials, schools, students, small offices, makers, enterpreneurs and professional designers are now able to set up a studio full of 3D printers to have their students or consumers (workshop participants) experiment on their own. In this article I’m going to discuss the most important facts when choosing the filament for your 3d print. 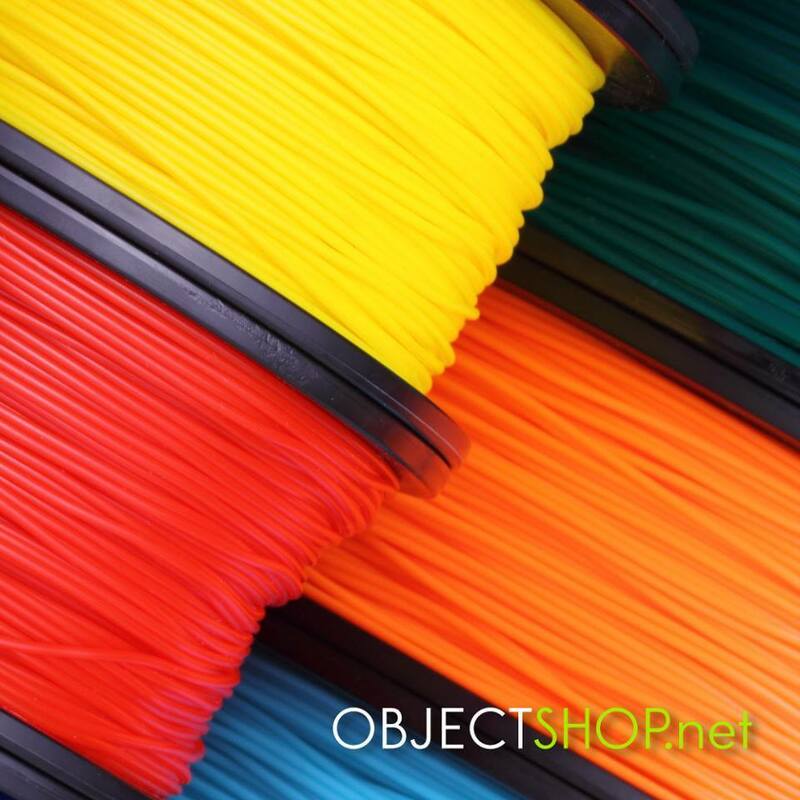 There is a huge amount of companies and webshops offering PLA and ABS filaments for 3D printing, but if you aren’t carefully enough, you can get some really serious issues with bad filaments. Most desktop 3D printers use the fused deposition modeling (FDM) technology, which means, that they all work with plastic filaments with 3 mm or 1.75 mm diameter. 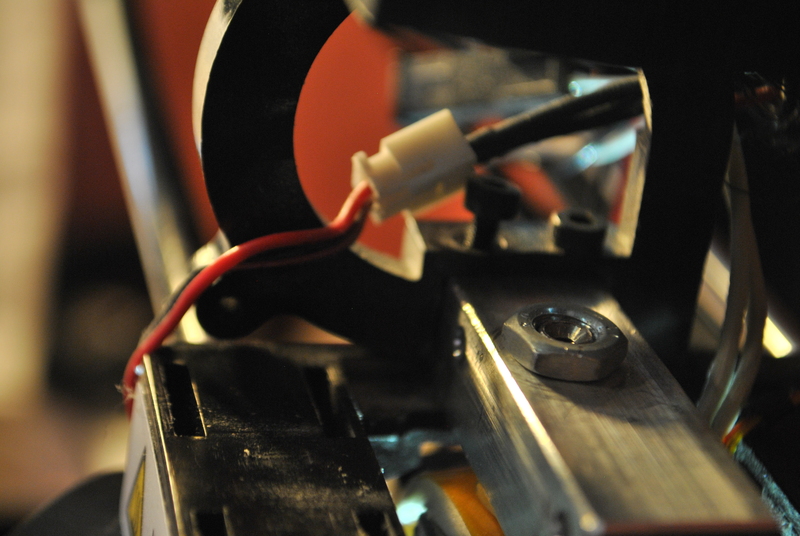 The hot end of the 3D printer heats the filament which melts before being extruded from the nozzle. Most 3D printing plastics have a melting point from 180 to 240 Celsius. After 3000 hrs of 3D printing on my Makerbot Rep2 and several types of RepRap 3D printers, my tip would be: if you want to start 3D printing, you have frustrations enough (mechanical and electrical issues), spend a few extra bucks to eliminate possible filament issues. I’ve tried several suppliers of 3D printing filaments last year, from the cheapest ones to the premium quality spools as well. The moral of my story is: you get what you pay for, buy materials from a trusted and verified supplier where you know who makes it, and watch out what you put in your 3D printer. 3D printing is already hard enough without nozzle blockages to deal with. Unfortunately, the nozzles of the usual desktop 3D printer setups aren’t self-cleaning, so you can have some dust or particles while feeding the filament into your extruder head. Accumulated dust/dirt on the filament, or even actual debris inside the filament, can partially or fully block the narrower output end of your nozzle. High quality filaments come vacuum-packed and sealed for your security, but I’d suggest to check it before you put anything into your 3D printer. I’ve found some really cheap stuff on ebay as well, but the pain of clogged nozzles and wasted failed 3D prints its not worth it. Some 3D printer extruder constructions might be sensitive to the diameter of the filament, it may be have problems if your roll of filament varies widely in diameter. I’ve had some bad experiences with the Formfutura supplier, although I’ve ordered several spools from them. With the FlexPLA and the Laywood, I haven’t got any problem, but with their normal PLA spools I have discovered some irregular values after measuring the diameter. I mean, the cross section of the filament should be round with a diameter of 1.75 mm, but mine looked like an ellipse with 2.05 mm along the longer axis. Unfortunately, the hot tube of the extruder of the Replicator 2 has only a 2 mm hole in it, so the filament just got stuck int he hot tube while feeding. I had to take my 3D printer apart, remove the clogged filament and clean all the parts before re-assembling. Sometimes, the diameter variation could be gradual; in this case, you might have great print jobs for a long time, and then unexpected as the filament gradually gets narrower, you have an extrusion issue. Or, as the filament gets wider, you start to have an over-extrusion problem. I’ve already read some reports about knots ont he spools, int hat case, those plastic spools weren’t originally manufactured for 3D printing, maybe they are common plastic welding rods sold as 3D printing material. If you have experienced knots or stuff like that, you’d better switch to higher quality filament (like the filament that Gigamax3D sell) that is made specifically for 3D printing. I’ve found that supplier a couple of months ago, and I’ve been really glad because they are from nice quality for an affordable price. I’ve tested them before buying, because they have a store in my country so I could measure the diamter of the sealed spools. 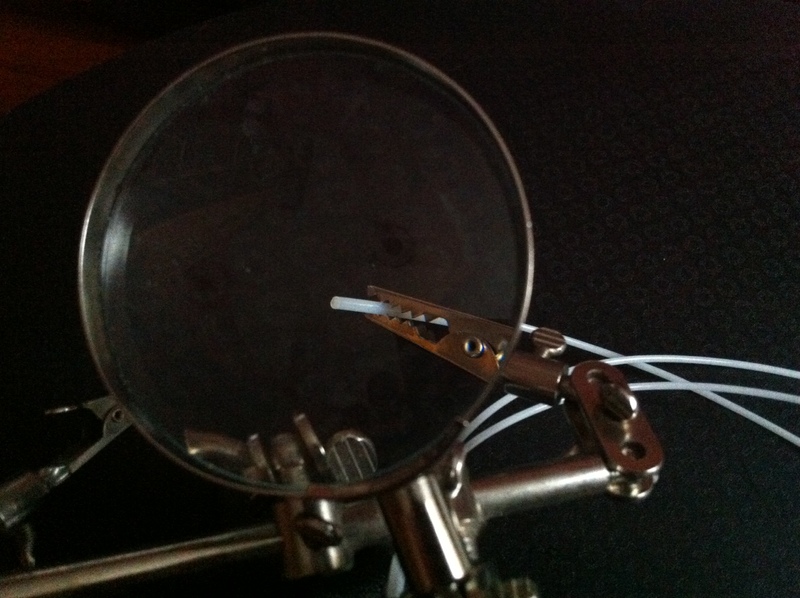 They have allowed me to test every spool I wanted, and their filament passed the tests with my micrometer. It was the first time I bought some HIPS spools, and they worked fine as well. Gigamax-supplied filaments have been tested to conform with all the common desktop 3D printers’ specifications and work best for most applications.I you already have some experiences with desktop 3D printers like RepRap machines, Makerbots, Leapfrog 3D printer or any other FDM 3D printer, you might have discovered as some filaments won’t work fine or can cause serious damage to the extruder head and machine. 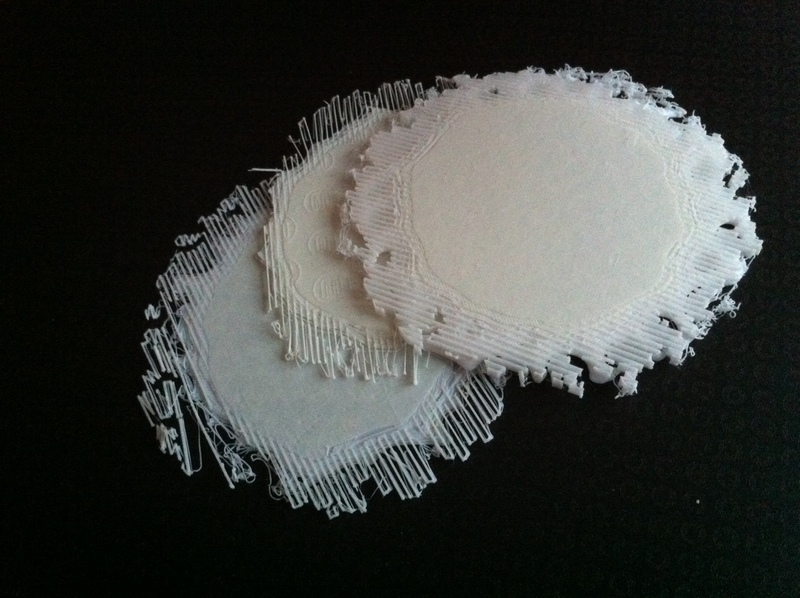 The quality of your 3D prints depends ont he quality of your 3D printing material as well. That’s why it is important to use high quality filaments for 3D printing. 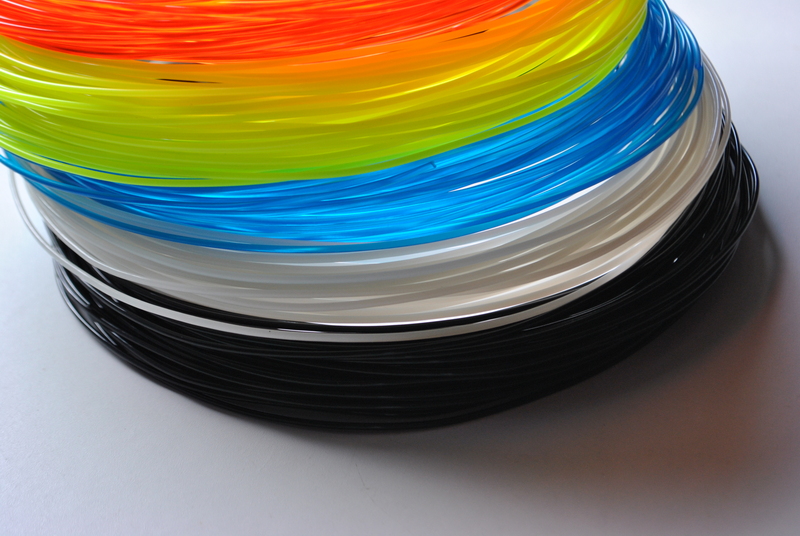 Gigamax offers an array of plastic filament colors. If you visit the Gigamax 3D print webshop you can see the full range of colors and special materials like glow-in-the-dark PLA or HIPS filaments in bright colors. All Gigamax 3D printing filaments come in a vacuum-packed foil bag with a desiccant pack to keep the ABS, PLA and HIPS spools dry during storage. They also sell PVA material, which can be really useful if you have a dual extrusion 3D printer like Leapfrog Creatr or a multimaterial RepRap machine like the Tricolor Mendel. 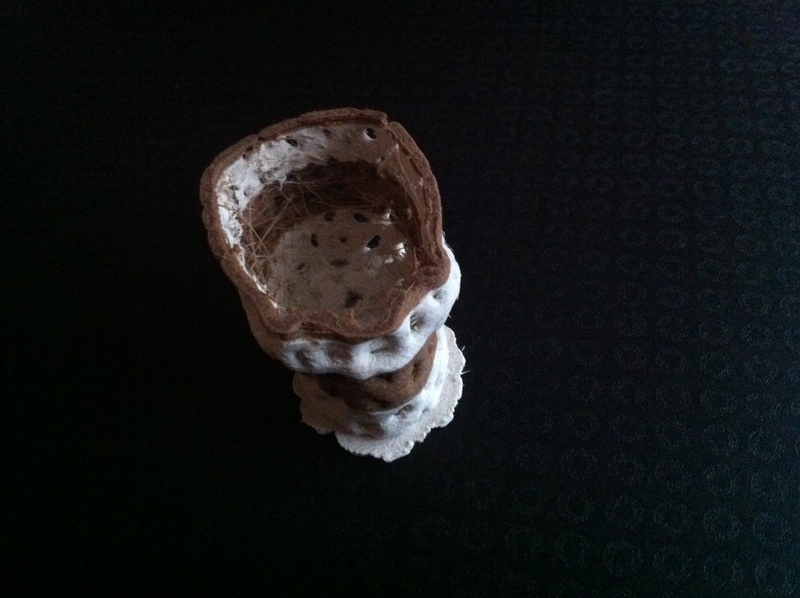 3D printing with FDM technology is really popular because of the simpliness of the process. There is no finishing necessary when 3D printing with extruded PLA, ABS or HIPS filaments. 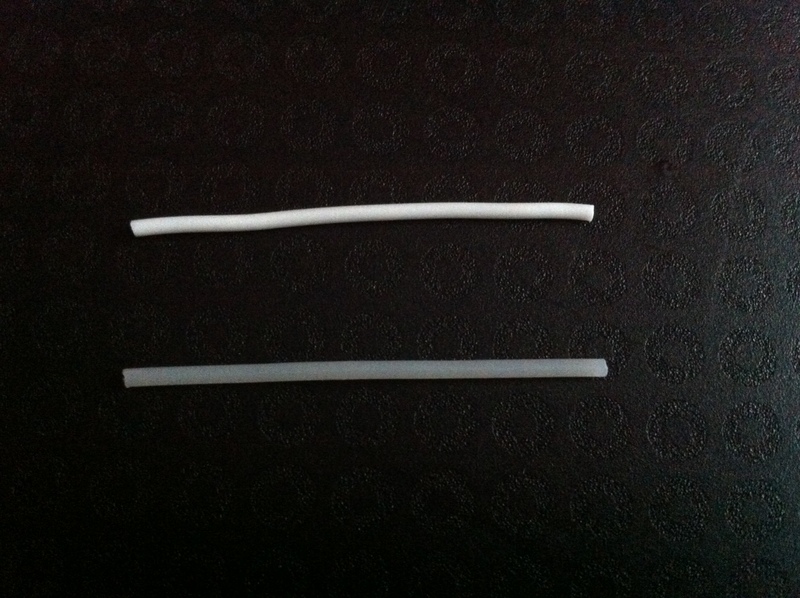 After the FDM extrusion process, the plastic solidifies right away. No chemical reactions, resins, etc. and no further post-processing and/or finishing needed. In case you use a 3D printer with multiple extruder heads with the water-soluble plastic PVA plastic as a support material, you have to dissolve the PVA in water after your print is finished. PVA is an amazing material, unfortunately it only can be used with at least 2 extruders and costs a little bit more than usual 3D printing plastics. This entry was posted in Uncategorized and tagged 3D print, 3D printed, 3D printing, 3D printing material, 3dfizz, 3dfizzblog, 3Dfizzr, ABS filament, desktop 3D printer, extruder, FDM 3D printer, filament diameter issues, Gigamax3D, HIPS filament, MakerBot Industries, Makerbot Replicator 2, material, parametric art, PLA filament, PVA filament, RepRap by fizz3d. Bookmark the permalink.